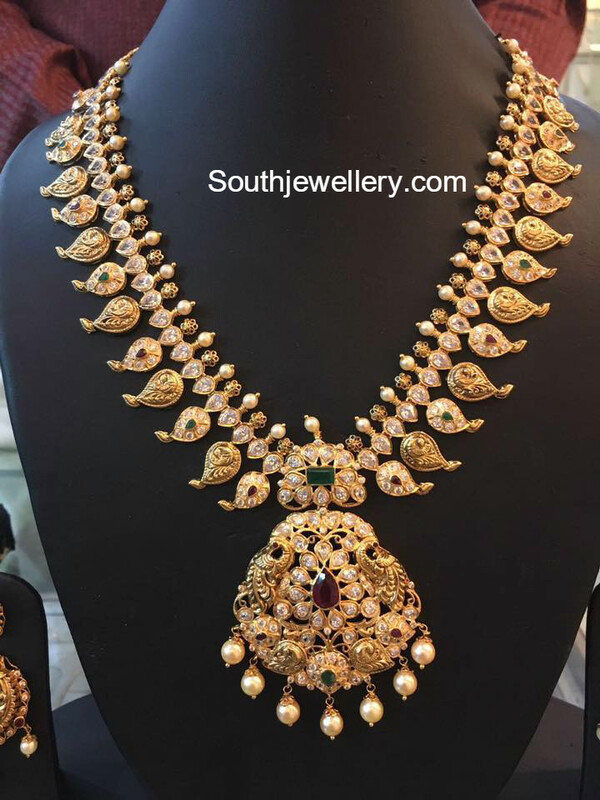 22 carat gold antique Lakshmi kasu mala with peacock pendant adorned with flat diamonds, rubies and south sea pearls. 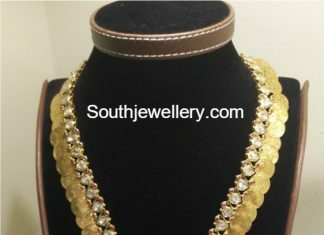 22 carat gold antique finish two line kasu haram studded with polki diamonds paired with antique nakshi jhumkas. 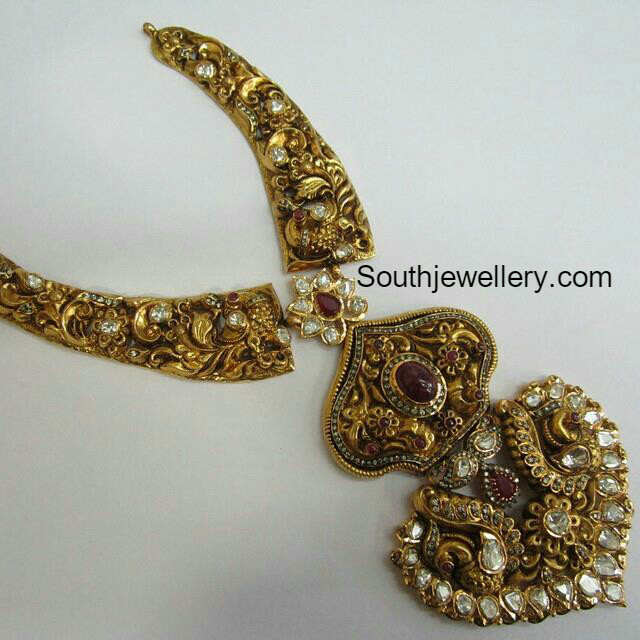 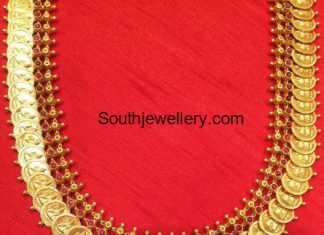 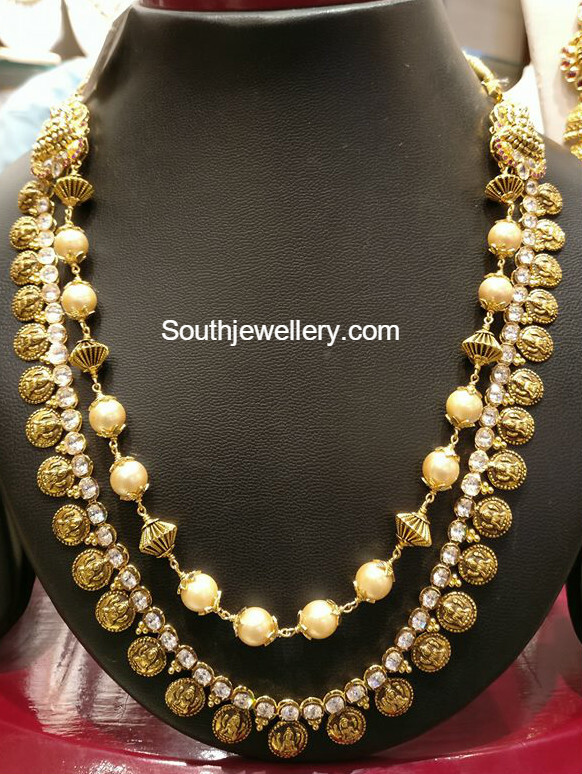 22 carat gold antique Lakshmi kasu haram with kundan pendant. 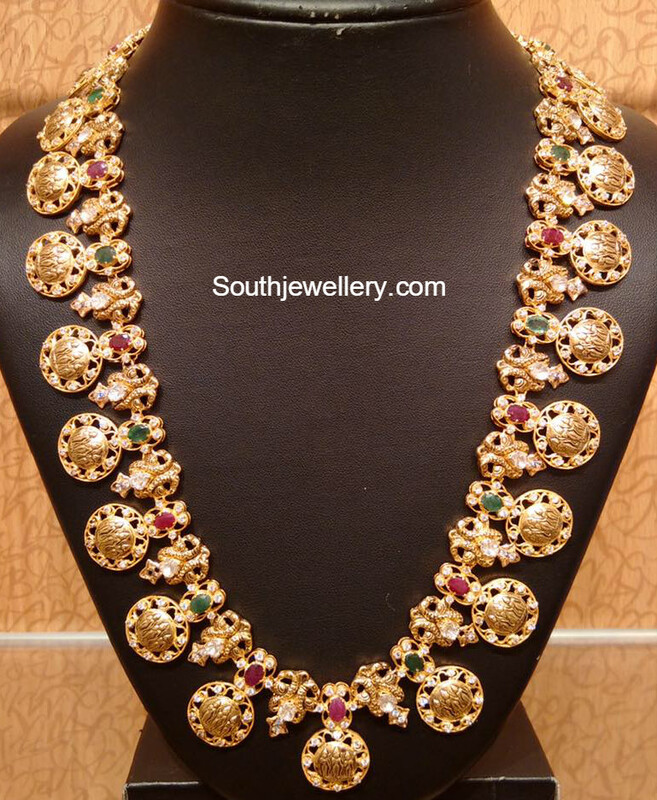 22 carat gold antique Lakshmi kasu haram with Lakshmi pendant adorned with flat diamonds, rubies and emeralds. 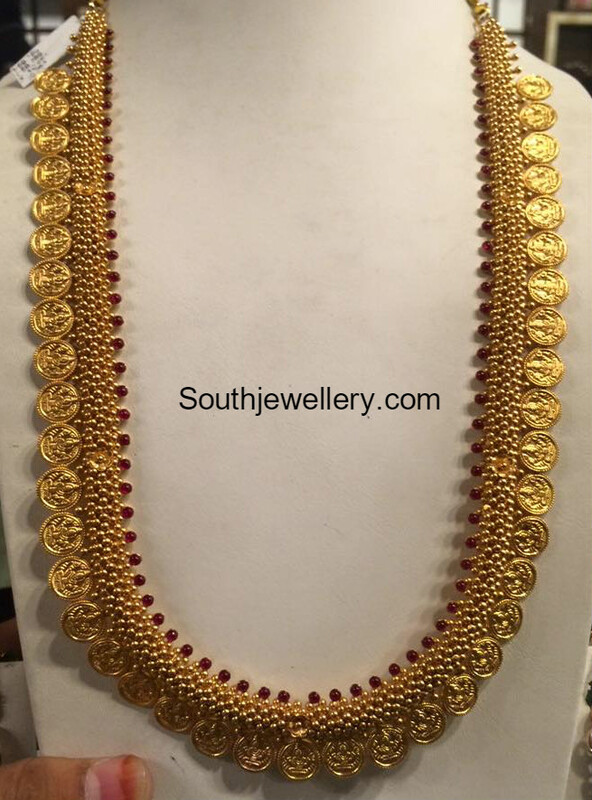 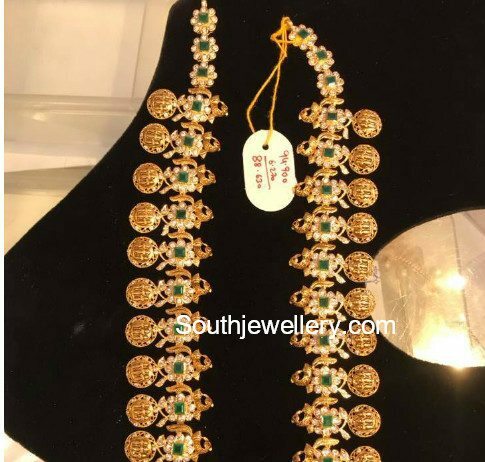 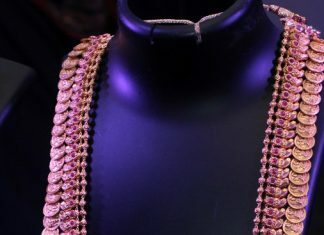 22 carat gold antique peaccom Ram Parivar kasu mala adorned with rubies, emeralds and cz stones by Naj jewellery. 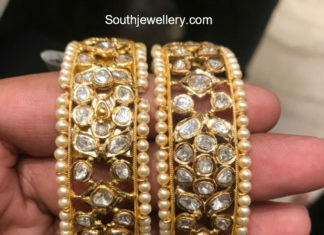 22 carat gold bangles studded with polki diamonds and pearls by Premraj Shantilal Jewellers.